Kaduna State Governor, Mr Nasiru El-Rufai, has described the lawmakers’ rejection of the World Bank loan as politically motivated. 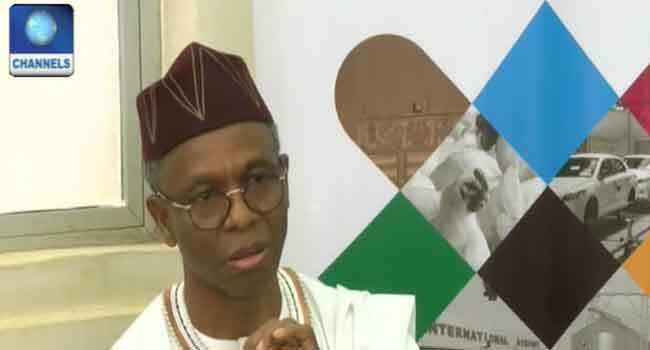 El Rufai stated while appearing on Channels Television’s Sunrise Daily on Wednesday in Kaduna, the state capital. The state government had requested a $350 million loan from the World Bank last year and was granted approval in a bid to support its Development Policy Operations (DPO). But four months after this, the Senate rejected the loan based on the purported recommendation of its Committee on Local and Foreign Debts and the three senators from the estate. In the report, which was presented by Chairman of the Committee, Senator Shehu Sani, it was recommended that the facility is disapproved as it would worsen the debt profile of the state. While admitting that the state was burdened with huge debt, the governor, however, gave the assurance that its financial viability cannot be questioned. He added, “Kaduna State may be the second most indebted state in the country, but we are fiscally sound. So there is really no risk in taking this loan and even those that rejected it know it. Despite the setback, it seems the state government is not deterred at all in its quest for development. This is even as the governor has promised to avail other options at his disposal.